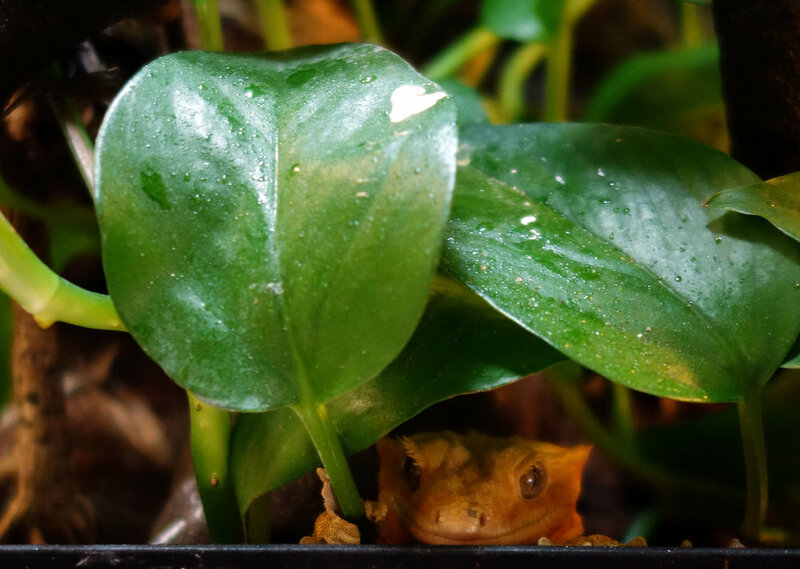 For those of you who have been frequent blog visitors or Twitter followers, you’ll know that I occasionally post about my pet crested gecko Lex. Sadly, she passed away this winter. She was only six years old, which is quite young for a crested gecko to die. The species often lives for fifteen to twenty years in captivity and sometimes even longer. In hindsight, I believe she probably got impacted, though at the time I thought she was just going through a bad shed cycle. 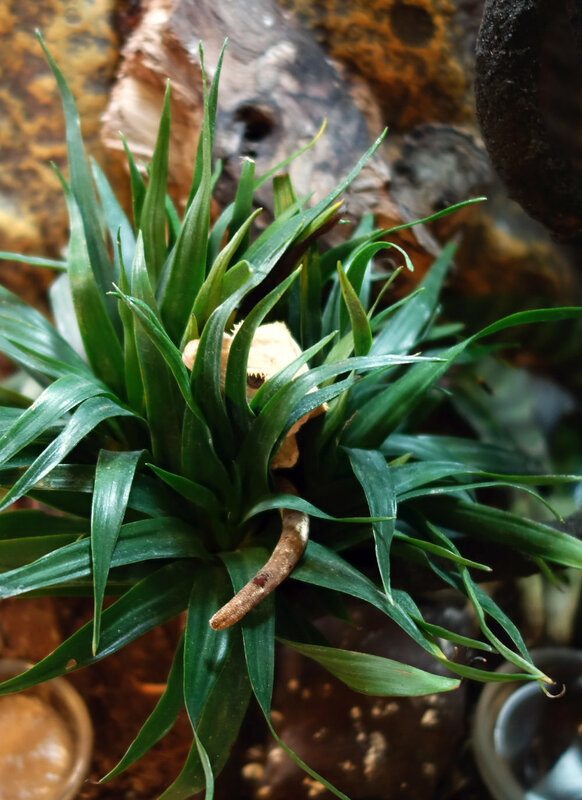 Impaction is always a small risk when you’re keeping the animal in a planted vivarium and feeding live insects. These choices nevertheless enrich an animal’s life, too, and Lex got clear enjoyment out of the plants and insect feeders. In the end I think it was unfortunately just her time. Lex was a great gecko and I was really sorry to lose her. Here are some photos I hadn’t yet posted that I’d like to share in celebration of her life with me. My crested gecko Lex cracks me up. I woke up to this one morning. Tell me this isn’t the most alluring pose you’ve ever seen a gecko perform. For maximum effect, turn on “Bootylicious” by Destiny’s Child while looking at this photo (I included an embed of the song via YouTube below). My crested gecko Lex has been posing up a storm lately! Here are a couple of new snaps of her antics. If you think she looks significantly yellower in the middle photo than the other two, you're correct - and it's not an illusion due to lighting or camera settings. The white versions are her "fired down" state, while the yellow is a more active coloration; when she's really intensely "fired up," she can actually even reach a medium brown, but that's relatively rare for her. Usually animals who are in the process of shedding are quite shy, so I haven't seen Lex shed in quite a while (when she was a baby I saw bits of it as very juvenile crested geckos have a harder time getting their shed off). But last night, she popped up with a superhero mask and cape of her own dead skin. I assumed her surprisingly social behavior was a request for more humidity to aid in the detaching and easy consumption of her shed, so after taking her photo I spritzed her and watched as she ate it all within the next half hour.